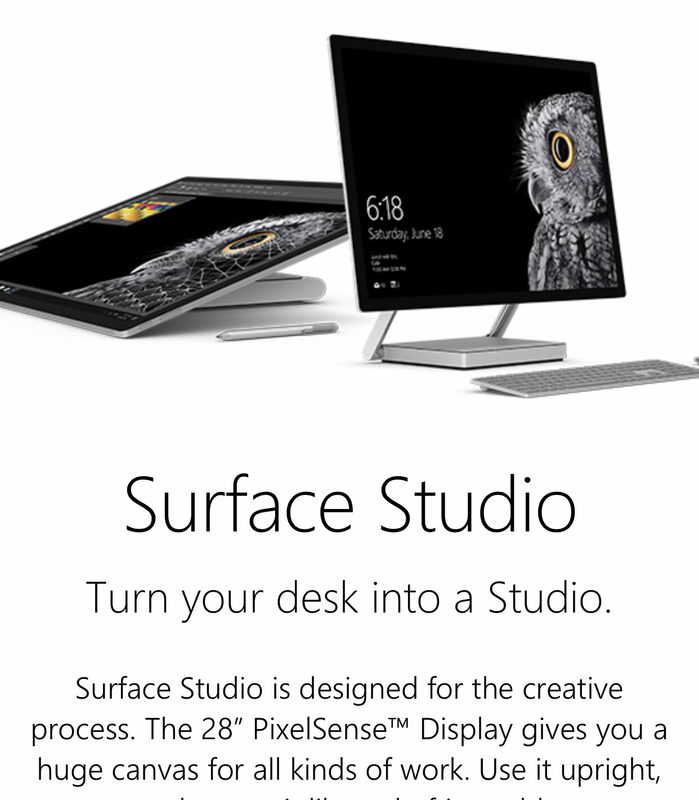 It seems Microsoft is really targeting the high end computing sector with the Surface Studio. Just take a look at the video below and be blown away. An incredible piece of engineering, don’t you think? Not cheap either with the i7 version costing $3,499.